Small shrub with small obovate-lanceolate leaves about 2.5cm long. Abundant small funnel-shaped flowers of pale pink or white with darker pink edges, opening from bright red buds in April. 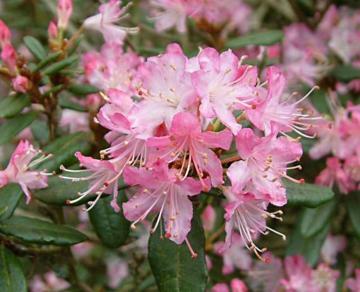 Introduced from southern China by George Forrest in 1919.